Let Us Bring You Up To Speed! Central Florida Region (CFR) SCCA is one of the Jumbo Regions in the SCCA. We average over 2,200 members who participate in our events as drivers, crew, officials, workers, or spectators. We hold 9 club racing club racing weekends plus 2 competition driver schools each year, staff 3 major professional road racing events, and hold numerous Solo (Autocross, PDX, or TimeTrial) events. With such a busy schedule, we think our members are the best members in SCCA. We are a volunteer organization which requires safety workers, tech inspectors, pit and grid officials, timing and scoring, and administrative staff to make the events run smoothly. 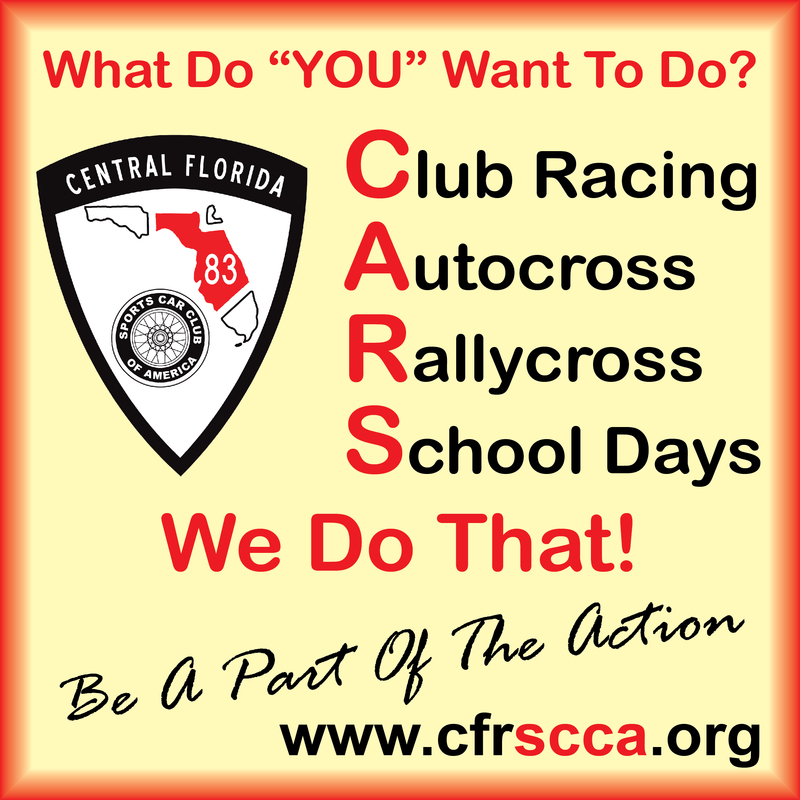 If you are interested in becoming a driver or getting involved as support staff and you live in Central Florida (Daytona, Orlando, Tampa Bay, Ft. Myers areas), please email Darren Gunn for more info at membership@cfrscca.org. If you are from outside of our region please visit the SCCA Region Locator to find the region that serves your part of the world. If you’d like to attend one of our Club Racing events at Sebring or Daytona – print the CFR Club Racing Event Guest Pass Application, fill it out, and bring it to registration at the track. A list of events and dates for is on the form. Ready to Join? Click here to open a Membership Application. You will need the Adobe Acrobat Reader to open the form. If you do not have Adobe Acrobat Reader installed on your system, you can download it for free here. If you are already an SCCA member, and would like to join Central Florida Region as a Dual Region Member then click here to open a Dual Membership application form.